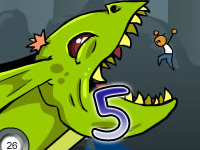 Uphill Rush 6 is one of the newest members of the Uphill Rush games family. 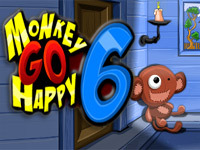 It features action packed adventures! 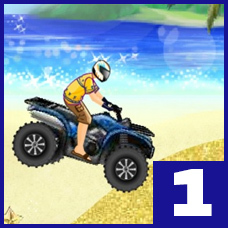 Ride a motorcycle, bicycle, horse, or jet skis through the maps obstacle courses to the finish line. You can also customize your key options to suit your preferences. 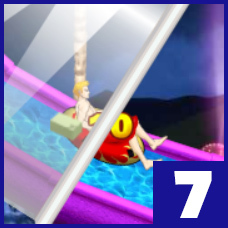 Uphill Rush 6 has 10 maps for you to play and complete. Maps 1, 3, 5, 7, and 9 are reserved for “time Trial. Maps 2, 4, 6, 8, and 10 are for racing against the computer. In addition to the increased number of maps to play, there are also bonus rounds as well as a “Race your Friends” event. 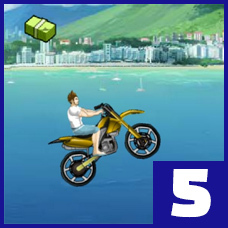 Collect coins throughout each map to earn Game Money to purchase better vehicles and new outfits! There are two bonus rounds available. 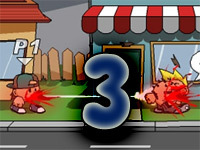 To unlock the first bonus round, you must complete maps 1, 3, and 5. 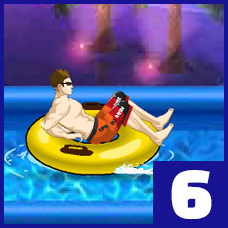 To unlock the second bonus round, you must complete maps 2, 4, and 6. 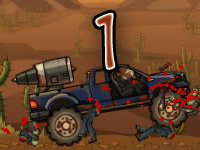 Beating each bonus round unlocks an additional vehicle you can use in the next set of maps. 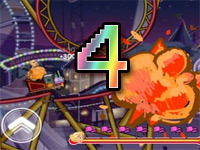 The “Race Your Friends Event” allows you to invite your Facebook friend to play Uphill Rush 5, and challenge them to a head-to-head race to see who is better! After all, it’s not much of a game unless someone can lose, right? You can fully customize your character (racer). You choose the racers gender, his outfit, and even the color of his outfit! 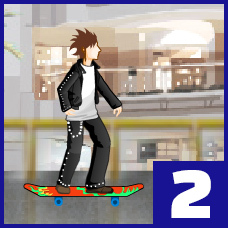 Many of the outfits are locked, though, and can only be unlocked by collecting game money and completing maps. 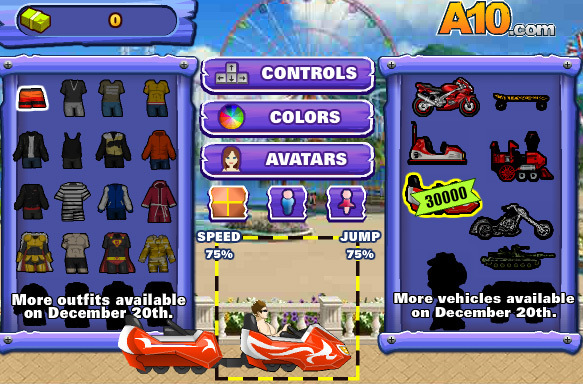 All vehicles are customizable – you can change their colors! You start out with five lives per level. However, if you are good, and you get a high enough score, you can earn an extra life! 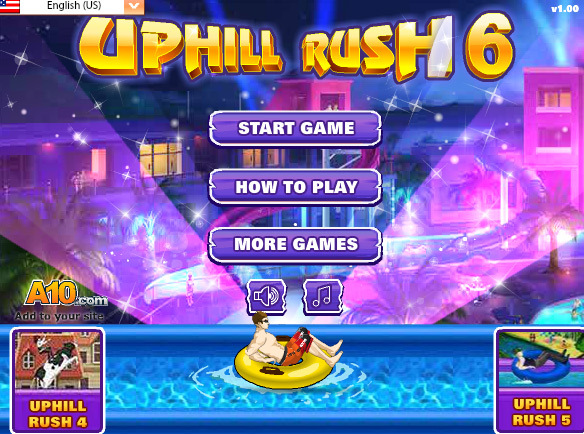 Children ages 6 and up will enjoy playing Uphill Rush 6! Don’t worry parents; this game does not involve any violence or bad language. 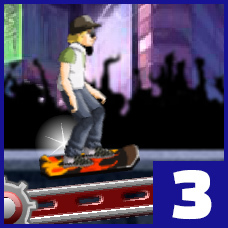 Did you know that you can also play Uphill Rush for free on your smartphone? you can read more about it here. The game app can be downloaded for completely free of course.